Beyond being a comfortable place to live, campus housing provides a place for you to study, meet new friends and grow. Here, late-night study sessions, impromptu gatherings, and group dinners all come together creating an important part of your college experience. And being able to jump out of bed a few minutes before class and make it on time is another bonus. 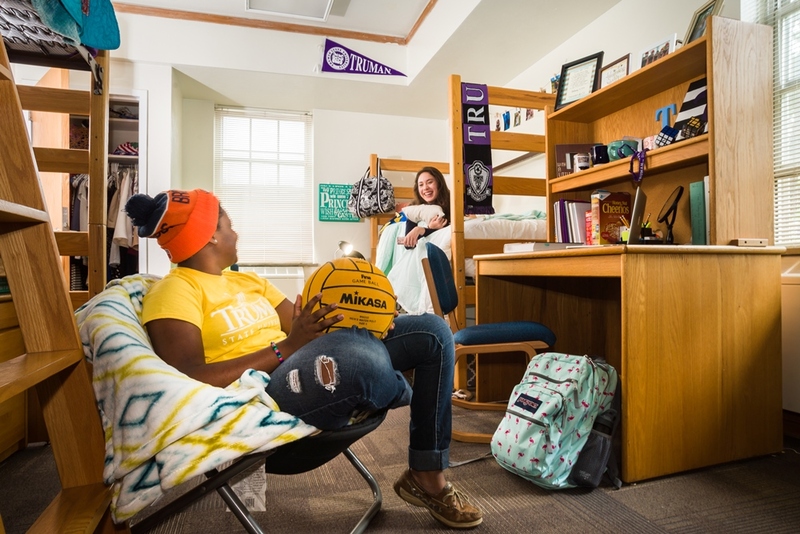 All first-year students are required to live on campus because of the value of the residential experience and its impact on student learning and connections to the University. The university recognizes that exceptions may be appropriate in certain circumstances, such as a student living with a parent, grandparent or legal guardian, and an exemption can be requested for special cases. Have Questions About Campus Housing? Find more information about campus housing by exploring our Residence Life site or contact the Office of Residence Life which oversees all of the University’s on-campus housing. If you would like to request a waiver from the first-year student on-campus residence policy, submit the First-Year Student Residence Policy Waiver Form (PDF) and processing fee to the Office of Admission.